Aesthetics is coming back. For the past forty years, scholars across the humanities have routinely rejected aesthetic inquiry as ideological, exclusionary, or politically quietist. In American Studies particularly, this anti-aesthetic attitude has congealed into the field’s common sense. Only in the most recent past have several scholars begun to pay renewed attention to the aesthetic and to rethink its relationship to the spheres of the social, economic, and political. 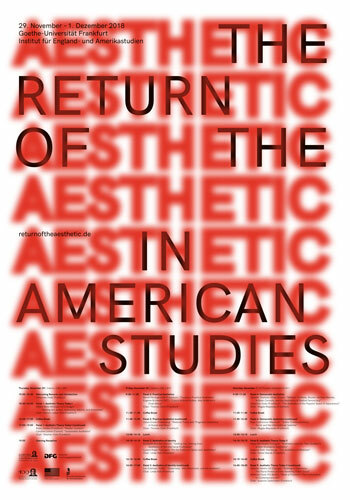 The Conference “The Return of the Aesthetic in American Studies” critically takes stock of recent returns to the aesthetic and extends their scope.